The movie Clown: trailer, clips, photos, soundtrack, news and much more! Damn, that clown is a creepy evil freak: he’s eating those kids, and he’s even eating them alive! Stay away from clowns and don’t wear clown costumes: it’s for your own safety! 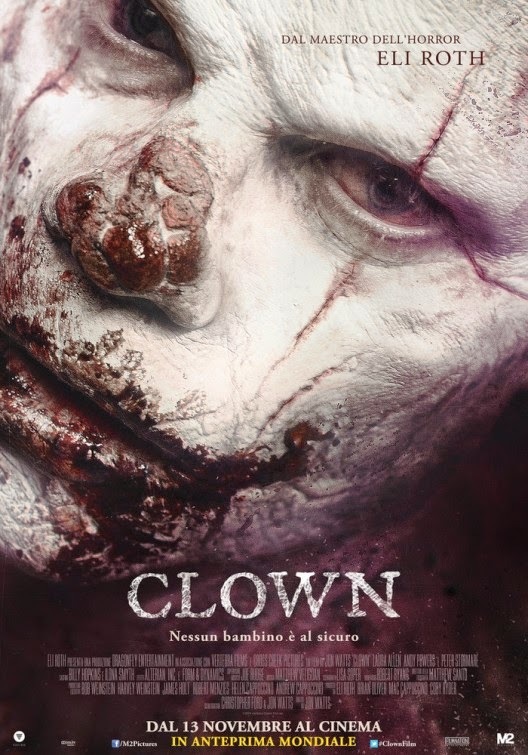 That said, if you’re into scary clowns, you may also like ClownTown, a movie about serial killer clowns. U.S. Release date: June 17, 2016. Are you afraid of clowns? I, for one, used to like them. But after watching this creepy trailer am not sure I want to be near clowns again!